Why Use An ARLA Approved Property Management Company? Why Should Landlords Use an ARLA Approved Agent? “When Abode was set up in 2001, it was done so with one simple objective – to provide a better service than anyone else. ARLA Propertymark was formed in 2017, when leading industry bodies including ARLA, NAEA, NAVA and more combined to form a single brand with the aim of the raising industry standards, promoting education and helping landlords protect and maximise their investment. At Abode, we are proud to be part of ARLA Propertymark and were ARLA approved for many years before the new brand was formed. Our commitment to a quality service means we not only abide by, but aim to excel the high standard required to retain ARLA Propertymark membership. So why should you use an ARLA Property Mark member? There a number of benefits for both landlords and tenants - read our latest blog post to find out more. Using a Propertymark member, your income is protected under the Propertymark Client Money Protection (CMP) Scheme; this protection means that landlords, tenants and other clients are able to claim compensation should an agent misappropriate their rent, deposit or other funds. What’s more, all ARLA Propertymark members are required to submit independently audited accounts annually to ensure compliance. At Abode, we work extensively with accredited accountants to ensure that all our accounts are compliant with best practice and latest standards. With almost 150 pieces of law affecting tenancies, landlords have a significantly increased responsibility than they once did. Outdated or inaccurate information provided by property agents can result in extremely heavy fines and even criminal charges for landlords. As Propertymark members, we ensure we are always up to date with the latest property law and legislation. Coupled with our extensive in-house knowledge and commitment to staff development, we are well placed to give our landlords expert guidance on the latest industry updates. Another requirement of ARLA membership of is professional indemnity insurance, giving landlords peace of mind should professional negligence take place or poor advice be given by an agent. As ARLA Property Mark approved agents, our relevant members of staff that have taken exams must complete 12 hours of Continuing Professional Development (CPD) each year. We currently have 4 members of staff going through the process of becoming members of ARLA. A minimum of 4 hours of this CPC must be undertaken at educational events such as courses and conferences with the remaining 8 house being spent on private study including reading industry blogs, peer to peer training and other independent learning. This CPD ensures that our staff are highly trained in the latest updates in the industry such as legislation changes, new schemes and initiates and best practices for compliance. 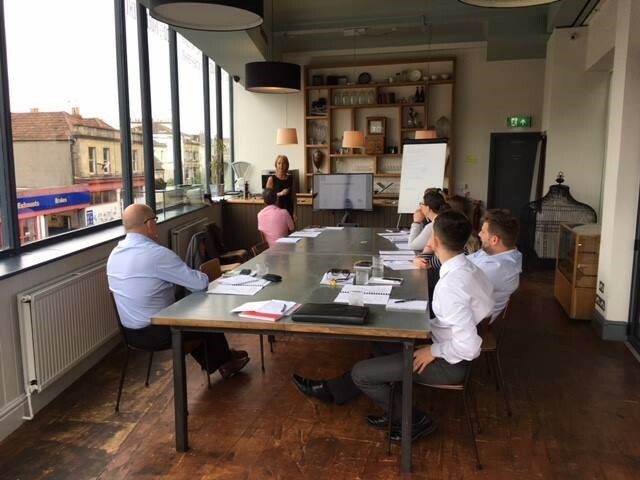 All of our property management team recently attended training help by mydeposits.co.uk in order to further develop their skills. As Propertymark members, we adhere to a nationally recognised and properly audited Code of Practice to ensure that we work to the highest standards, providing the best service possible to our tenants and landlords. As a Propertymark member, we belong to a government approved independent redress scheme; this is a legal requirement for all letting agents who are members. This independent redress scheme gives tenants and landlords the peace of mind that, should they be unhappy, they can have their dispute resolved by an impartial and professional 3rd party. Whether you are a landlord renting out a property or a tenant currently renting one, using an ARLA Propertymark member holds a number of benefits for you. To find out more about our landlord services and how our Propertymark membership can help maximise your investment, give one of our expert team a call today on 0117 973 8866 or fill out a contact form and we’ll get back to you.